To claim this profile, please confirm you are Azariah Binford. To follow this profile, please let us know your relationship to Azariah Binford. Azariah's basketball stats have been updated for the loss vs. Upper Arlington. RESULTLoss Girls varsity basketball vs. Upper Arlington. The Northland varsity basketball team lost Wednesday's neutral playoff game against Upper Arlington (Columbus, OH) by a score of 62-47. This game is part of the "2019 OHSAA Girls Basketball State Championships - Division I" tournament. Azariah's basketball stats have been updated for the win vs. Watkins Memorial. RESULTWin Girls varsity basketball vs. Watkins Memorial. The Northland varsity basketball team won Friday's home playoff game against Watkins Memorial (Pataskala, OH) by a score of 52-44. Azariah was selected the Player of the Game in the basketball game against Africentric Early College on Sat, Feb 09 2019. Congratulations to #3 Azariah Binford for being selected the Northland Girls Basketball Player of the Game. Azariah's basketball stats have been updated for the loss vs. Africentric Early College. RESULTLoss Girls varsity basketball vs. AECHS. The Northland varsity basketball team lost Saturday's neutral non-conference game against Africentric Early College (Columbus, OH) by a score of 64-36. Azariah's basketball stats have been updated for the win @ East. RESULTWin Girls varsity basketball @ East. The Northland varsity basketball team won Thursday's away conference game against East (Columbus, OH) by a score of 57-23. Azariah's basketball stats have been updated for the win @ Beechcroft. RESULTWin Girls varsity basketball @ Beechcroft. The Northland varsity basketball team won Tuesday's away conference game against rival school Beechcroft (Columbus, OH) by a score of 77-43. Azariah's basketball stats have been updated for the win vs. Canal Winchester. RESULTWin Girls varsity basketball vs. Canal Winchester. The Northland varsity basketball team won Saturday's neutral non-conference game against Canal Winchester (OH) by a score of 55-49. Azariah's basketball stats have been updated for the win vs. Whetstone. RESULTWin Girls varsity basketball vs. Whetstone. The Northland varsity basketball team won Friday's home conference game against Whetstone (Columbus, OH) by a score of 86-4. 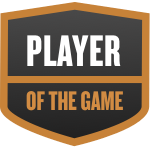 Azariah was selected the Player of the Game in the basketball game against Linden-McKinley on Tue, Jan 22 2019. Azariah's basketball stats have been updated for the win @ Linden-McKinley. RESULTWin Girls varsity basketball @ Linden-McKinley. The Northland varsity basketball team won Tuesday's away conference game against Linden-McKinley (Columbus, OH) by a score of 53-29. Azariah's basketball stats have been updated for the win vs. Columbus International.